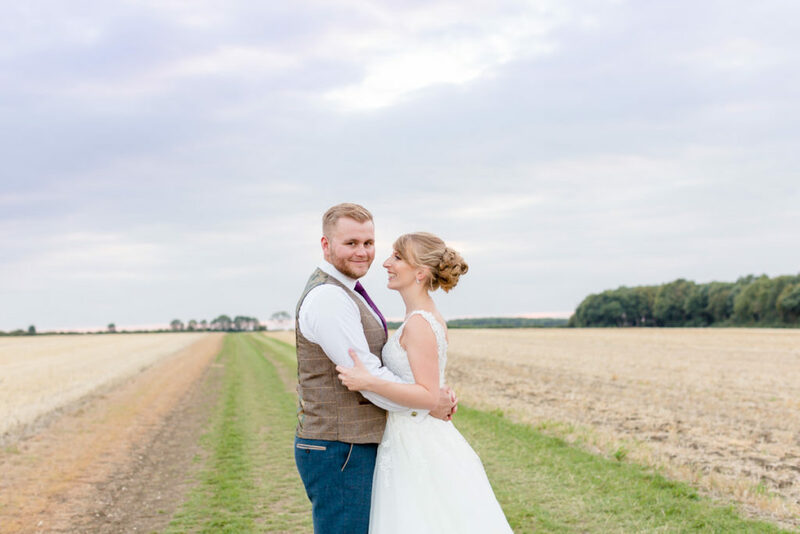 Sophie & Will are two of the most smiley people I know, they grinned and chuckled their way through their pre-wedding shoot and then did the same on their wedding day. 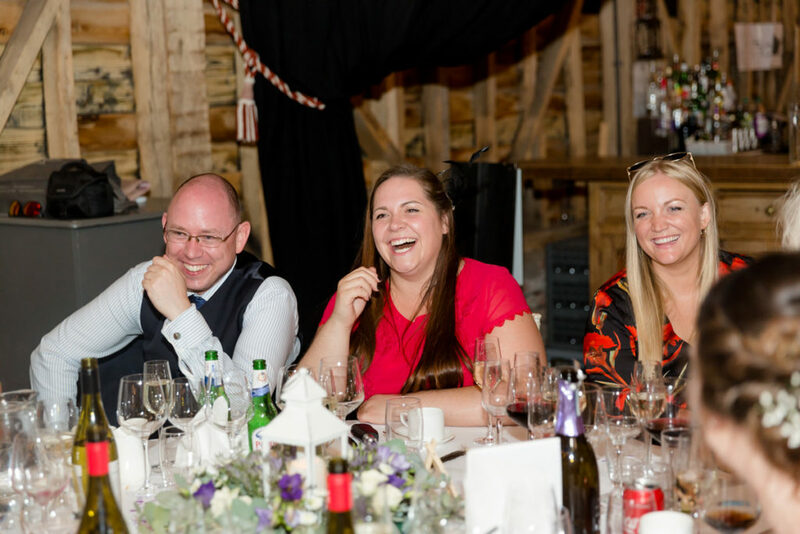 If you meet this pair, it’s clear to see how much they enjoy life together and laughter features in their lives a lot! 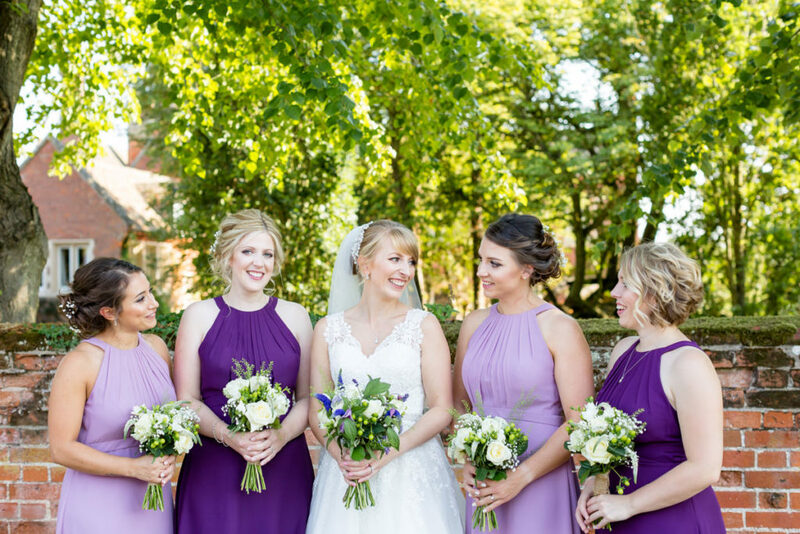 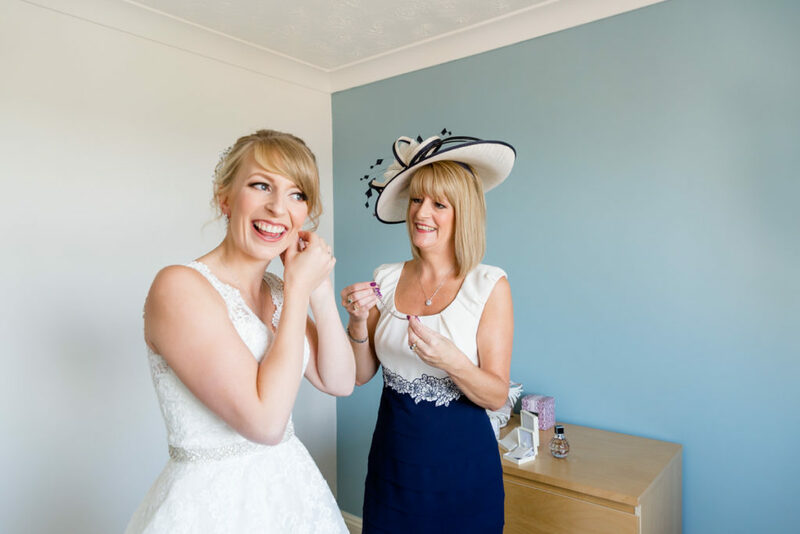 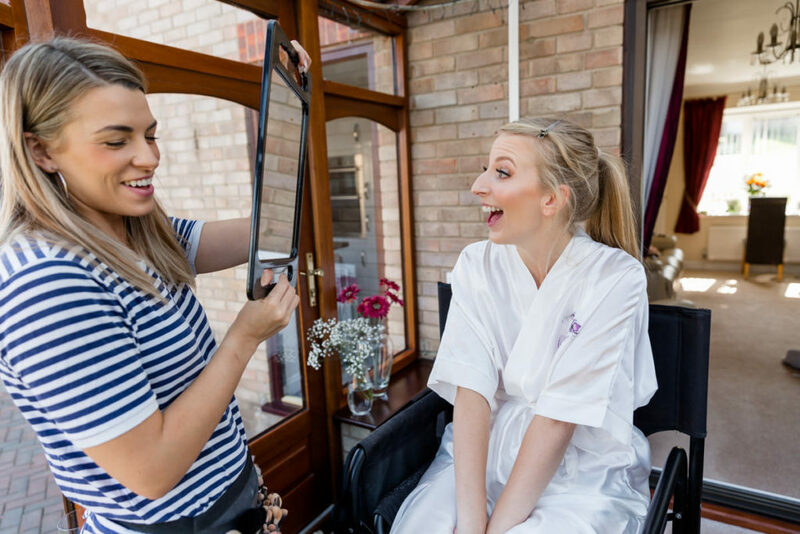 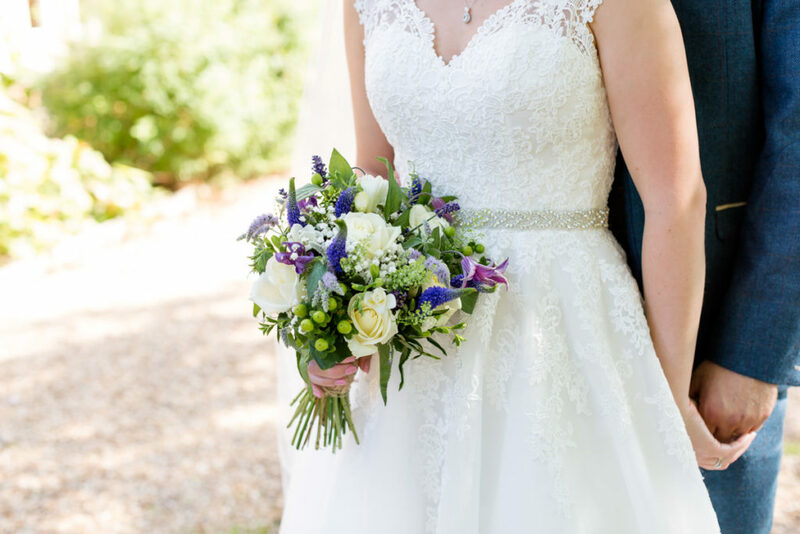 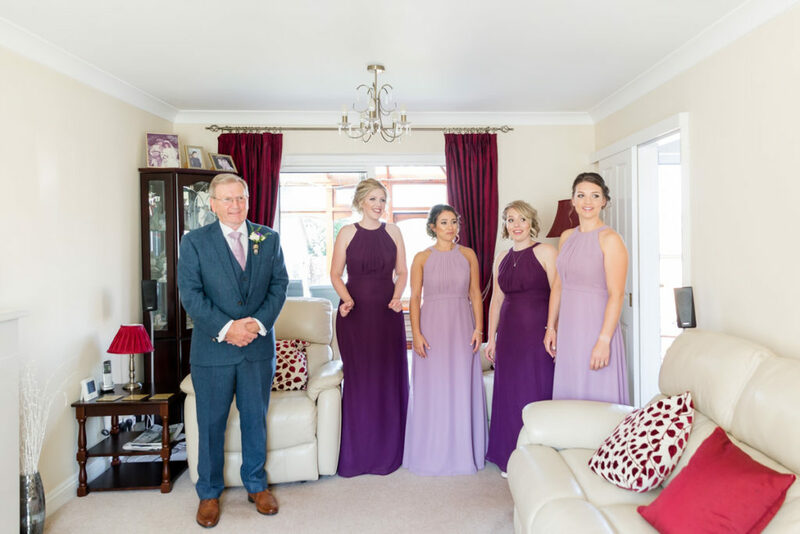 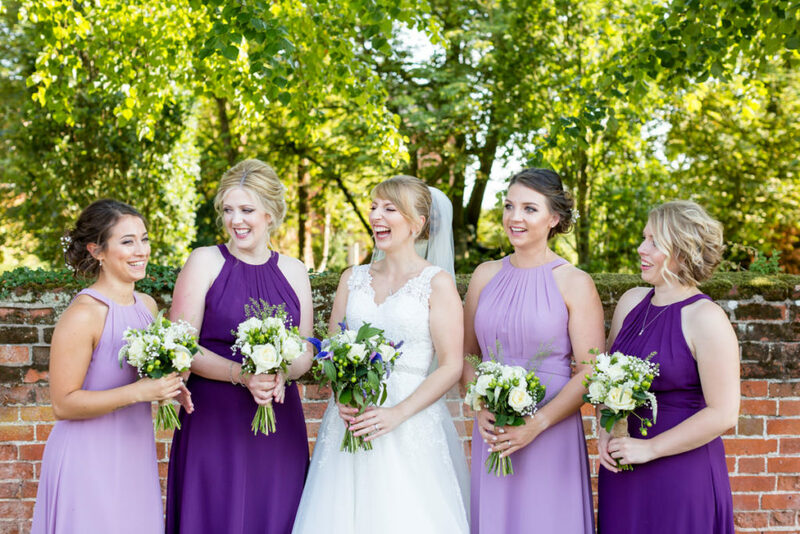 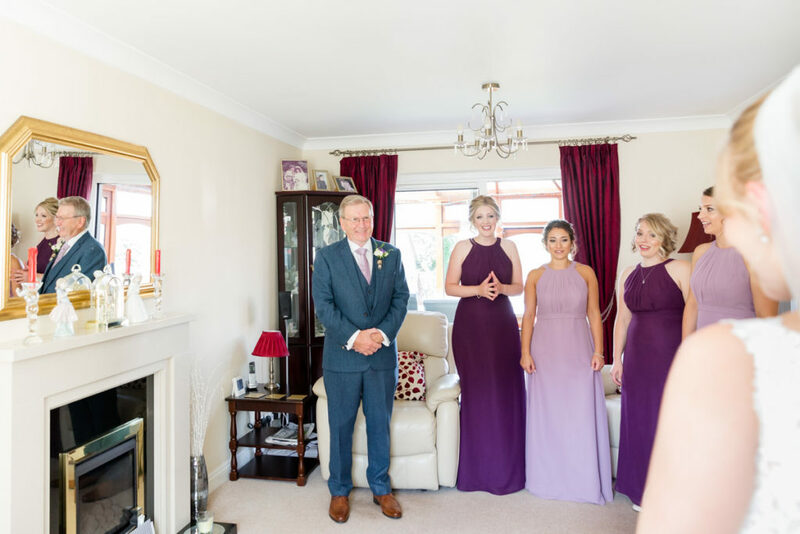 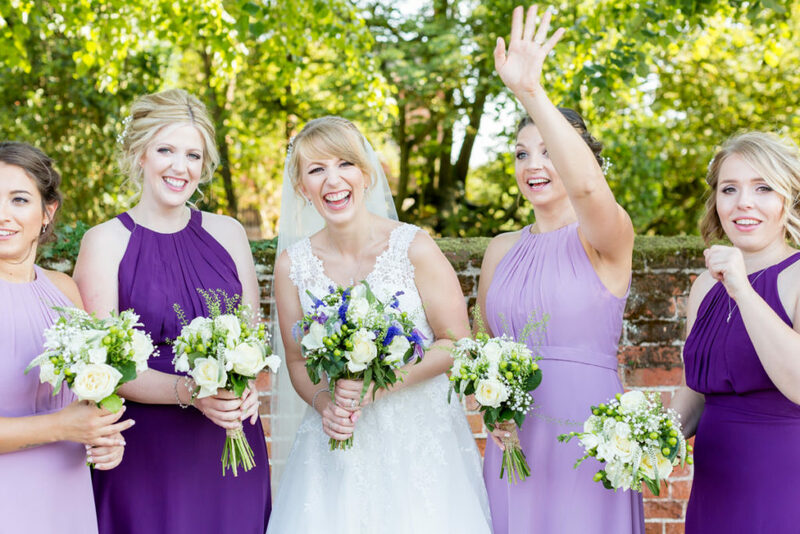 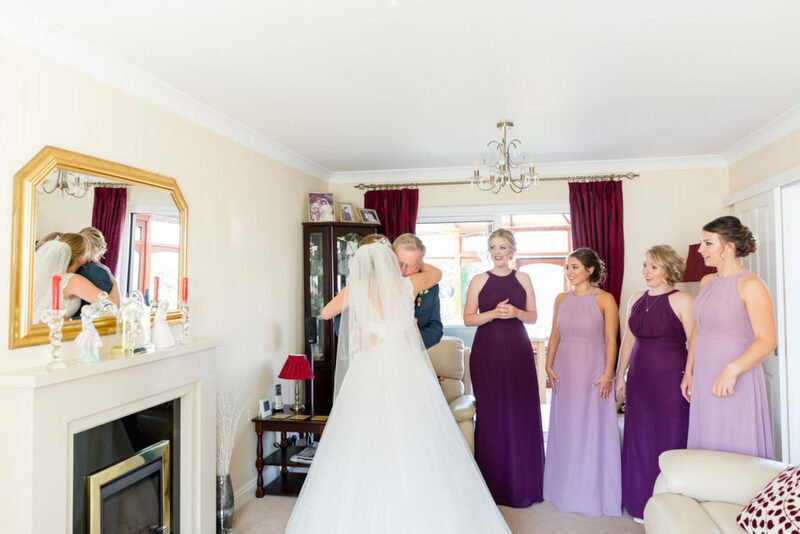 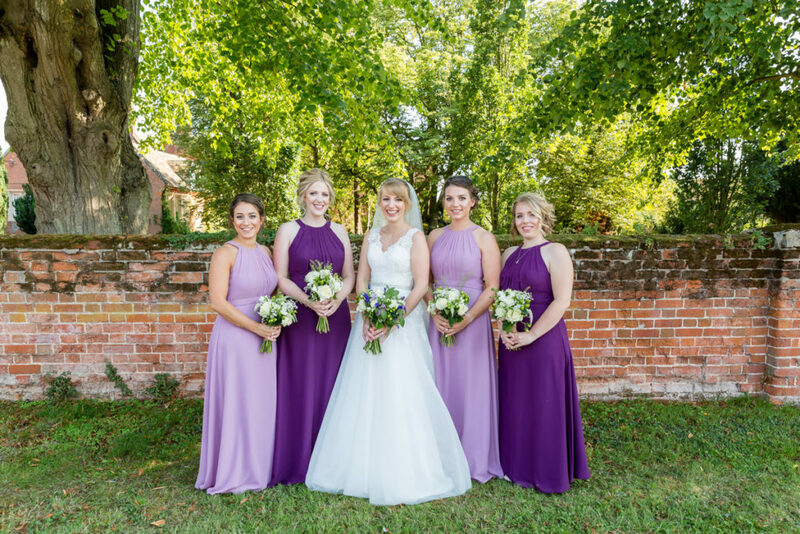 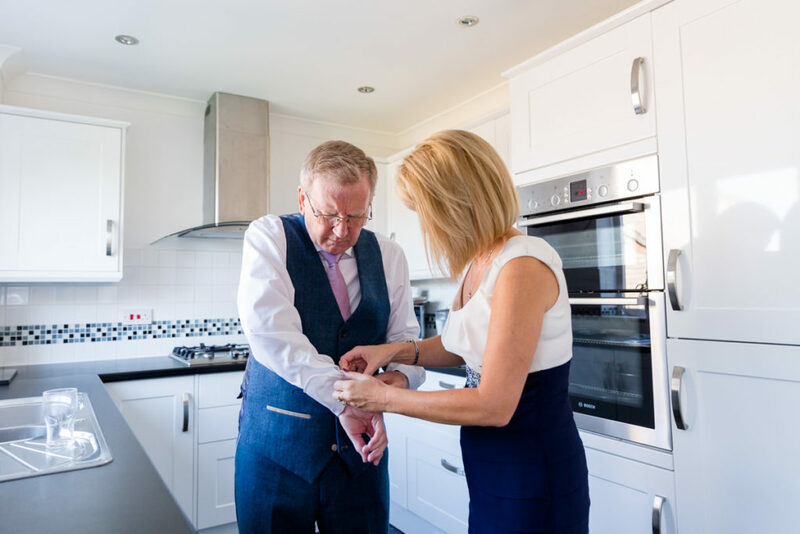 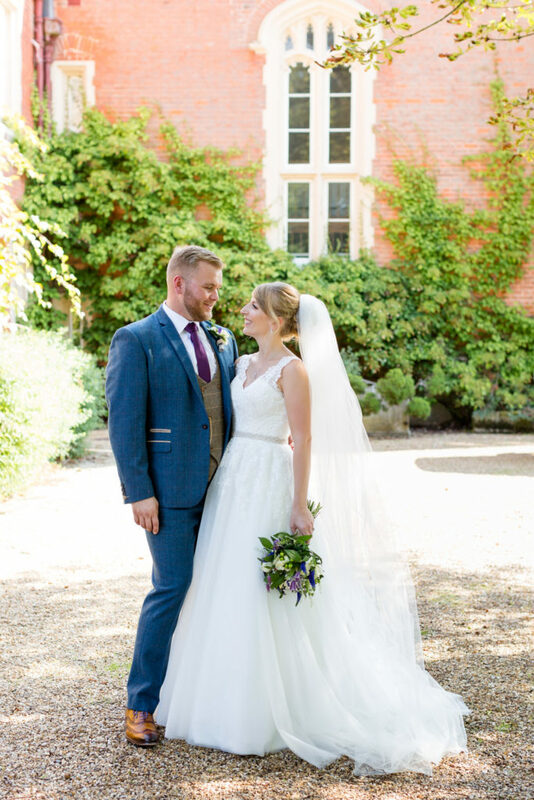 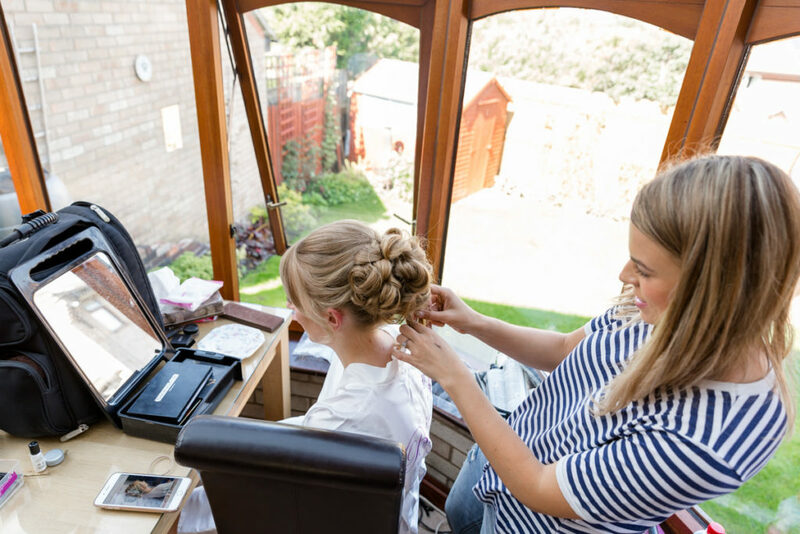 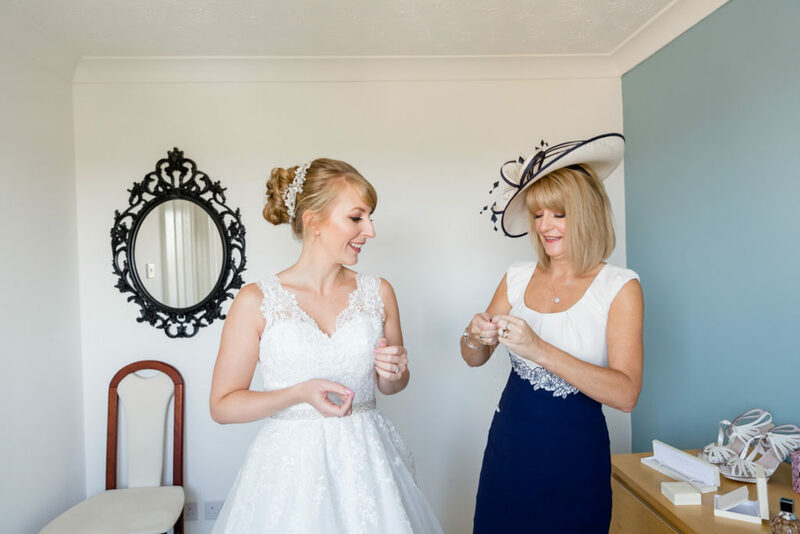 I spent a fabulous morning with Sophie at her parent’s home where she got ready with them and her bridesmaids, it’s fair to say they were all a tad emotional when Sophie entered the room in her wedding attire! 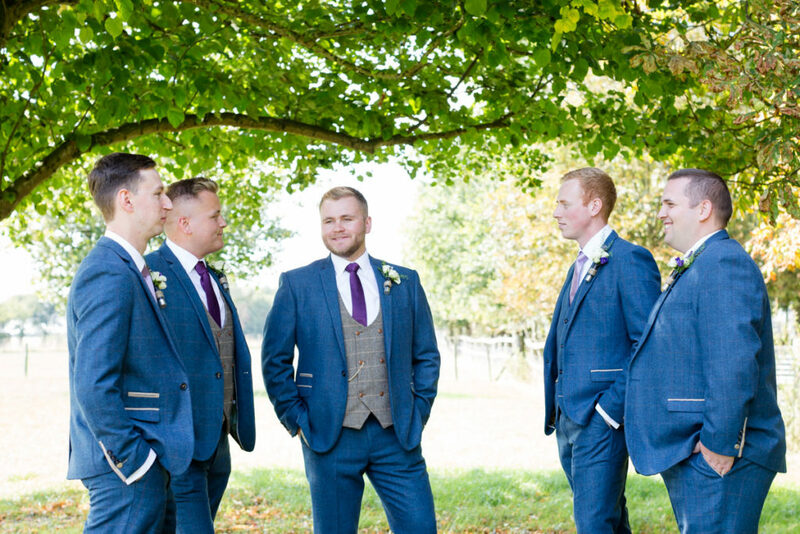 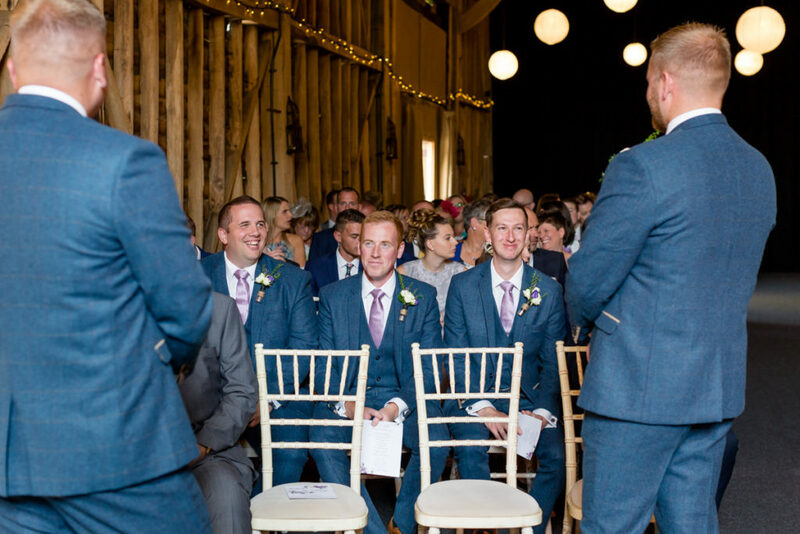 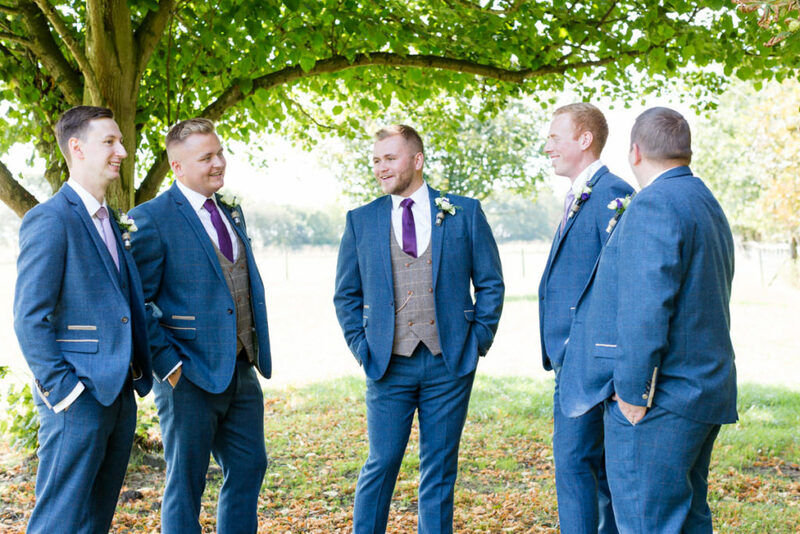 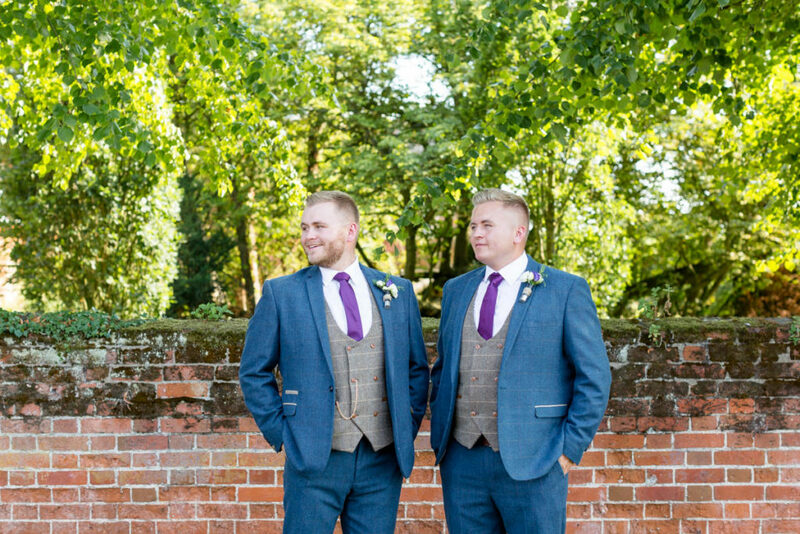 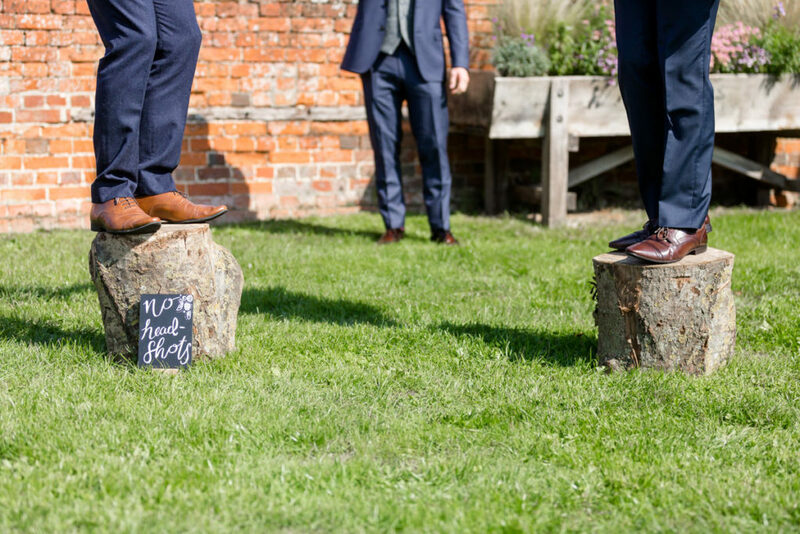 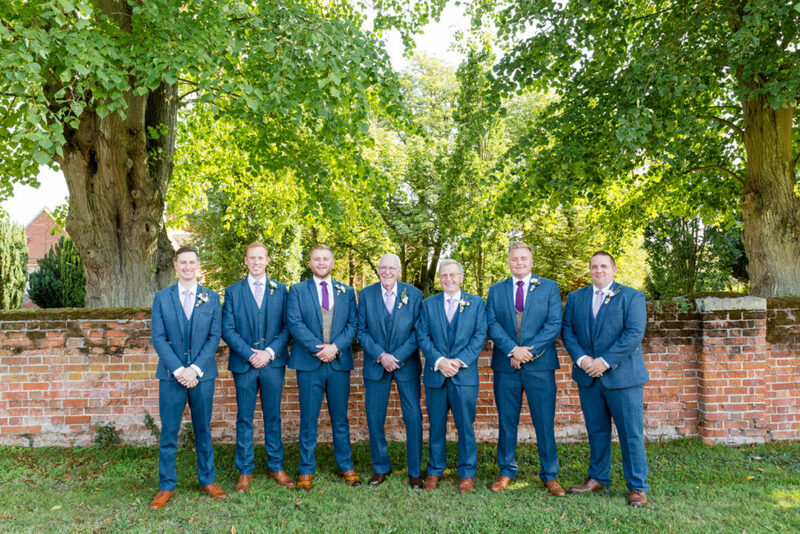 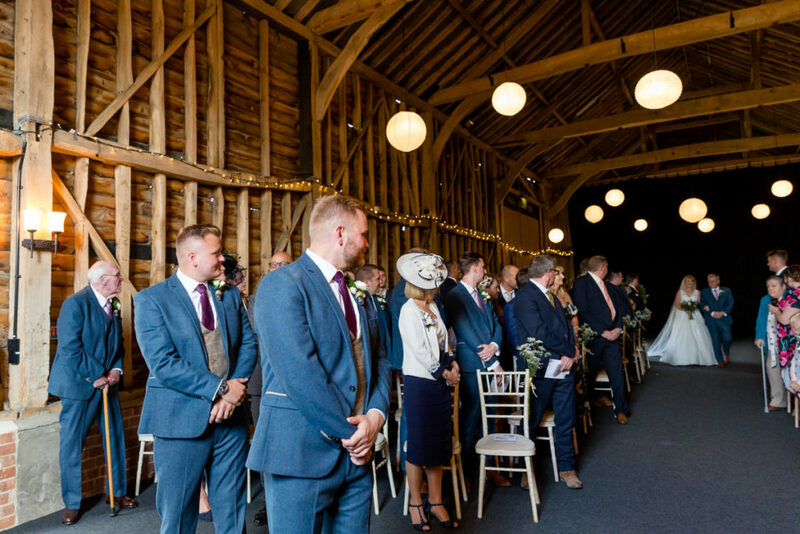 At the barn Will and his groomsmen were looking very dapper, greeting guests and trying to keep as cool as possible in those gorgeous, yet rather thick, tweed suits! 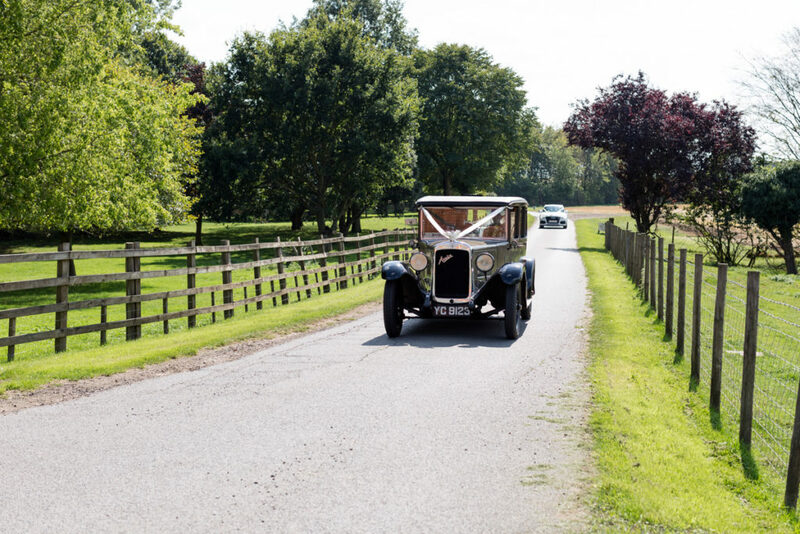 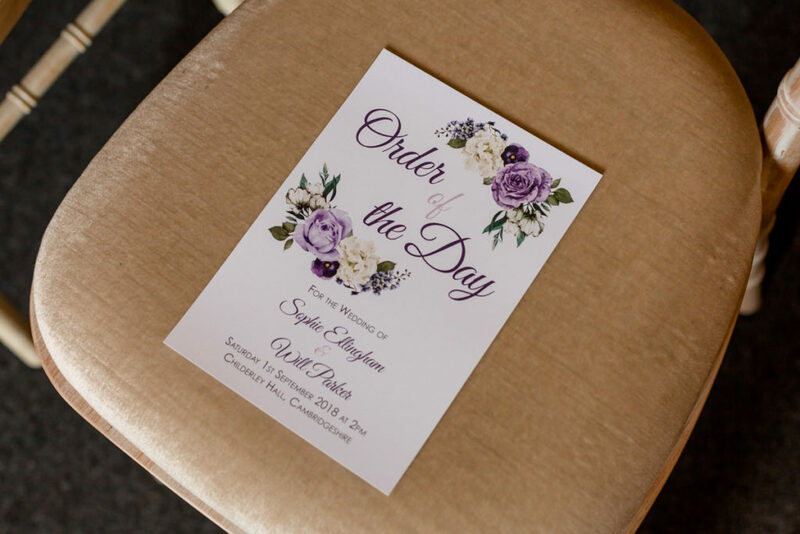 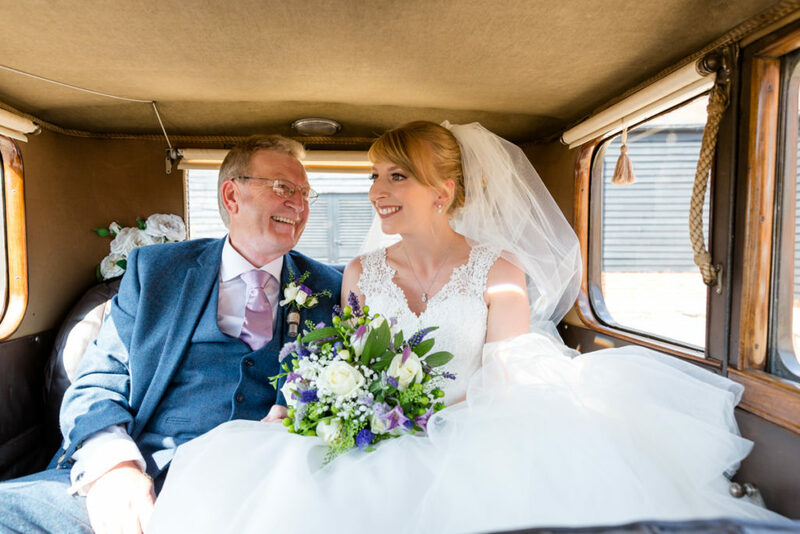 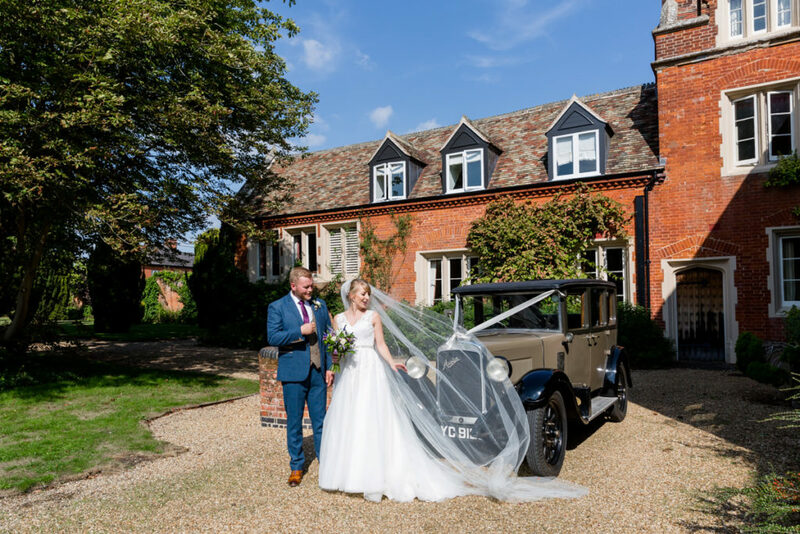 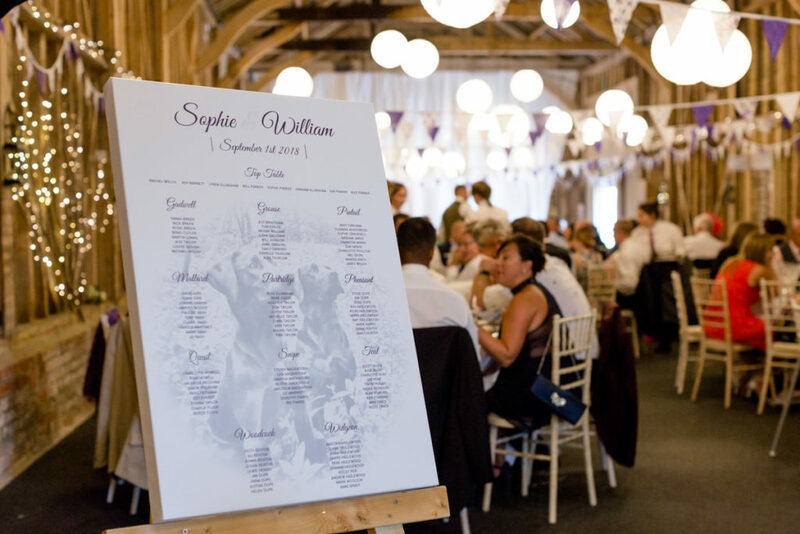 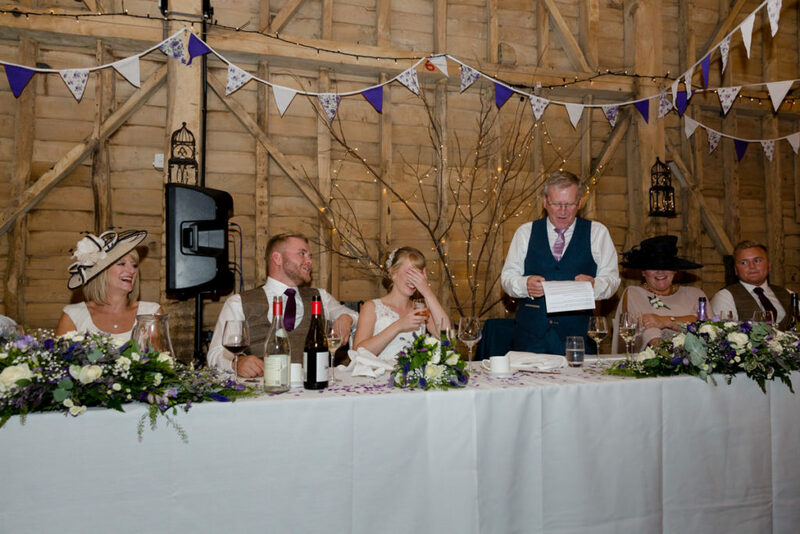 Sophie and her Dad arrived in a wonderful vintage Austin and a ceremony full of smiles followed. 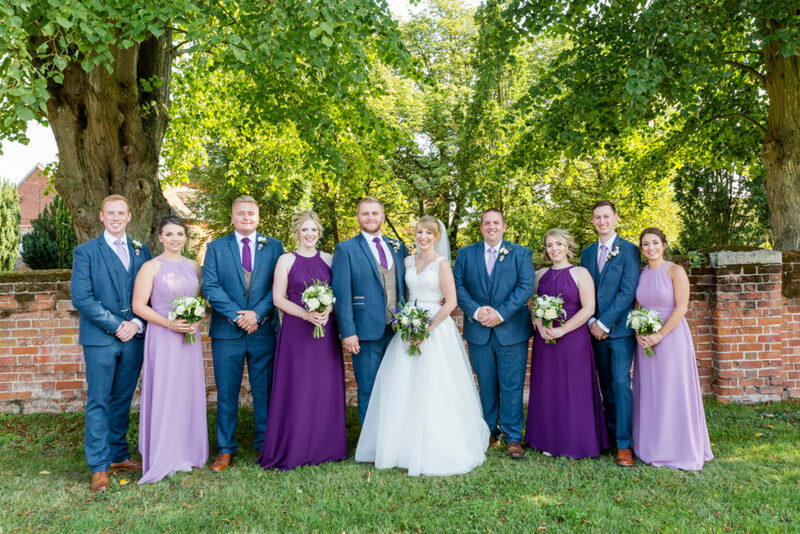 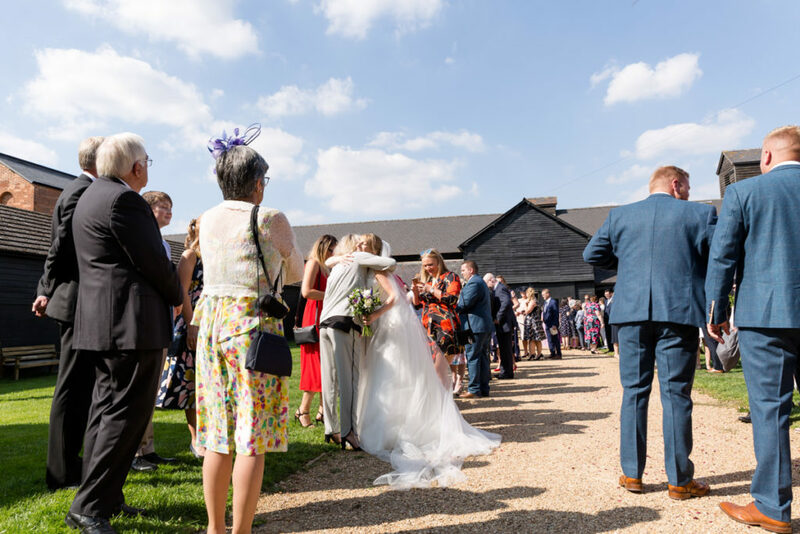 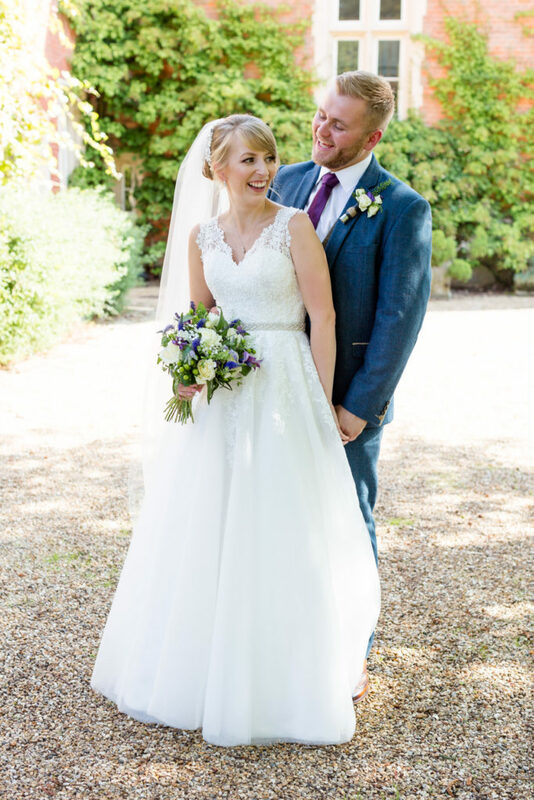 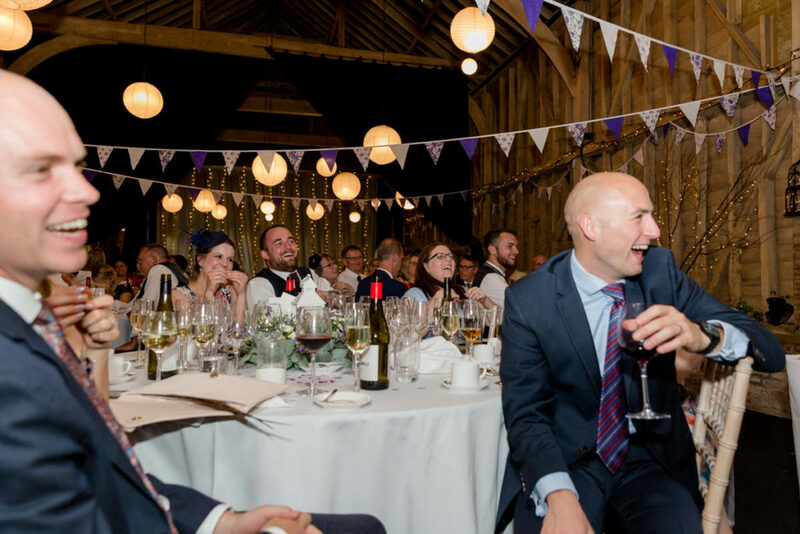 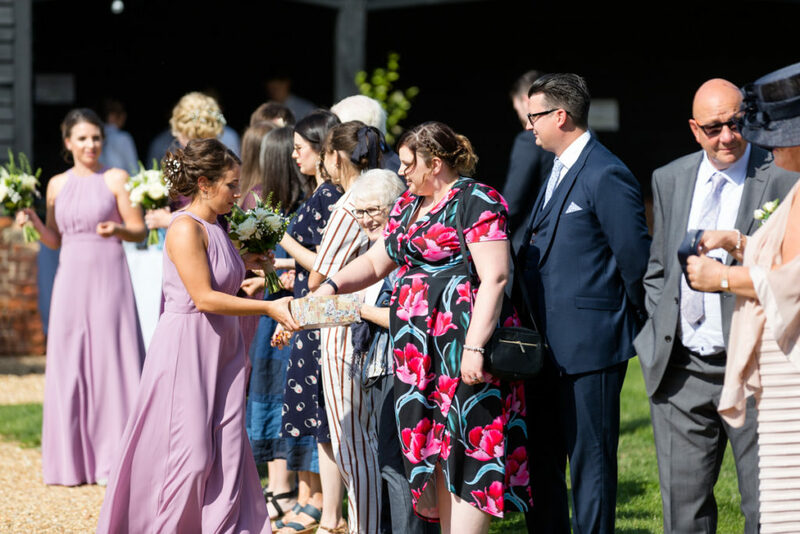 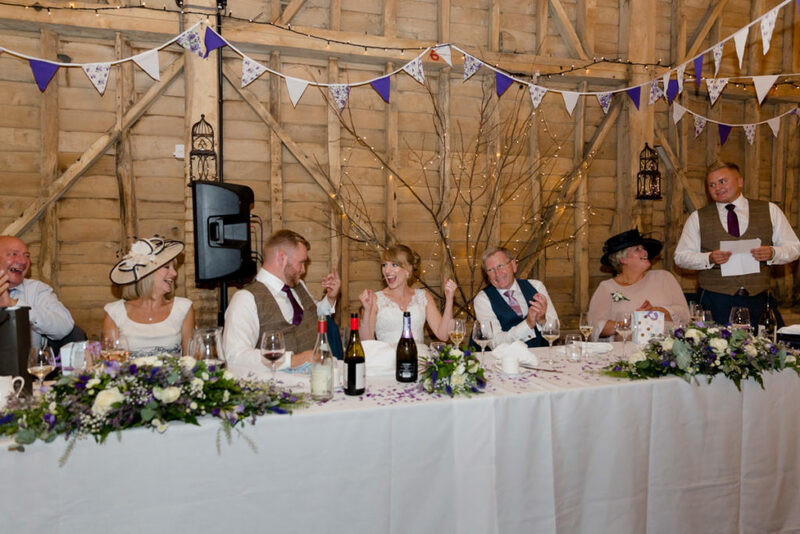 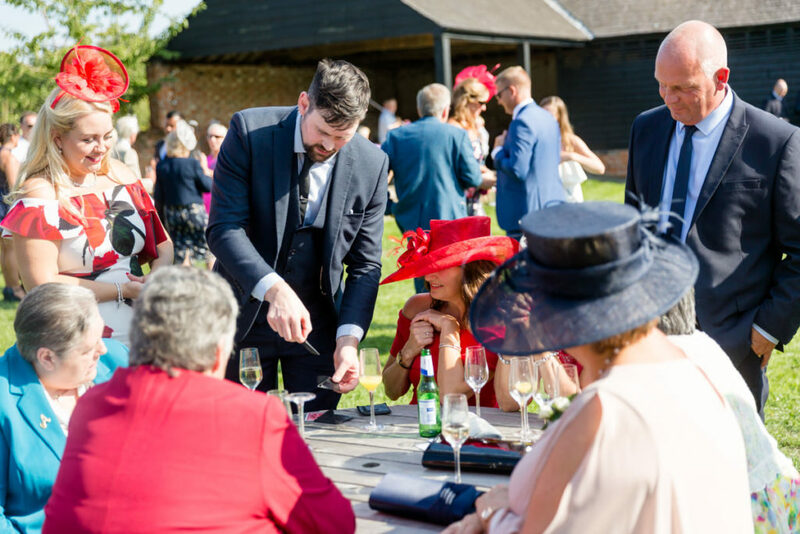 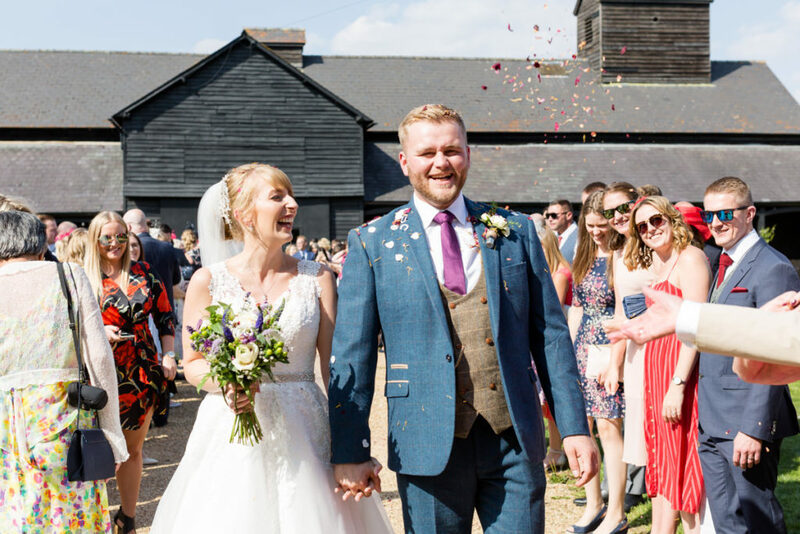 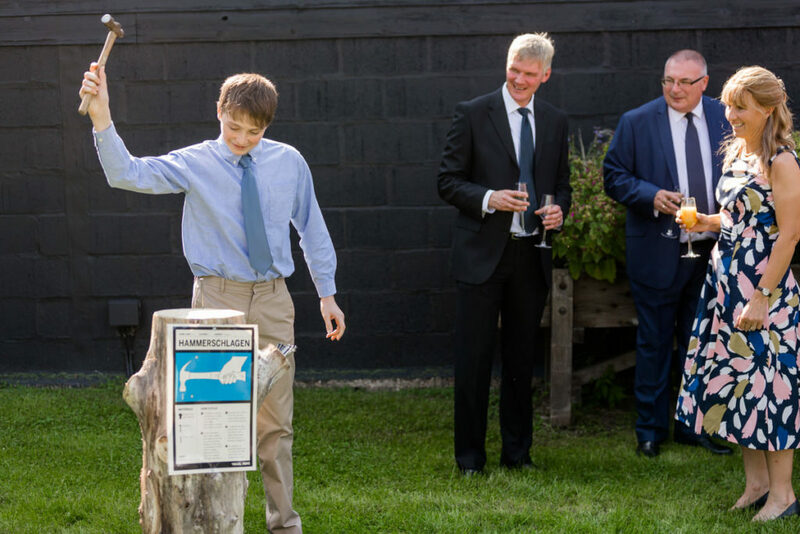 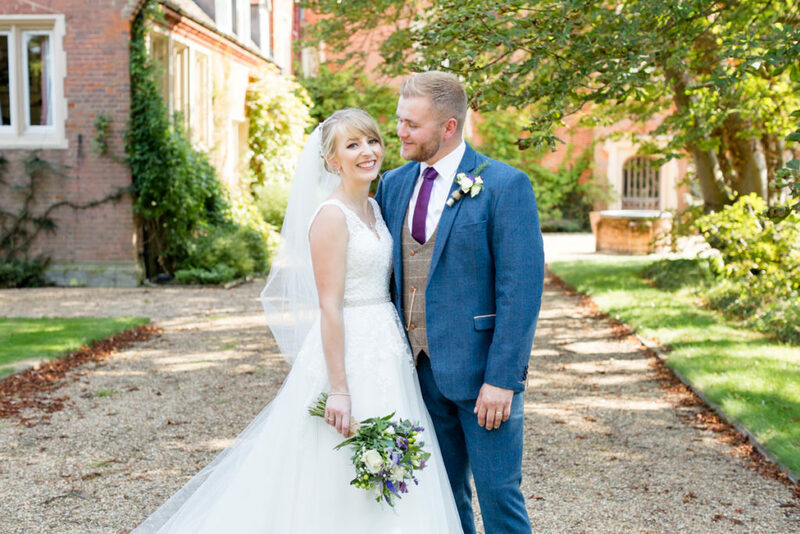 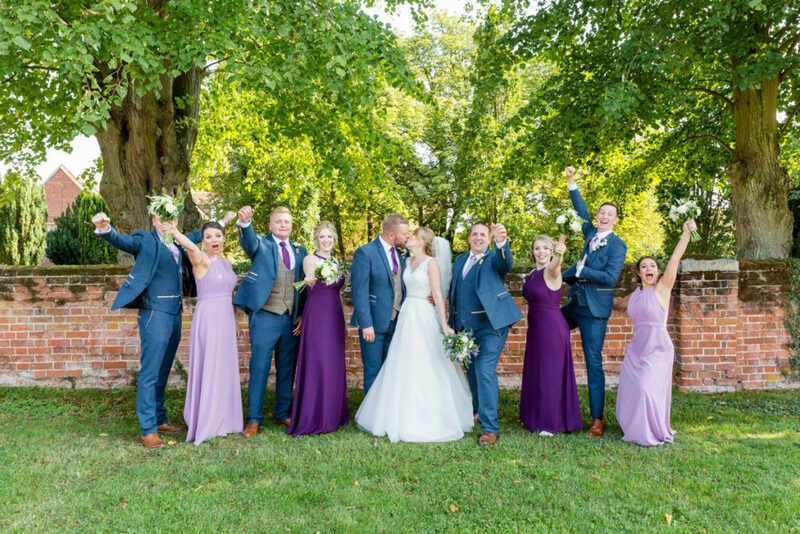 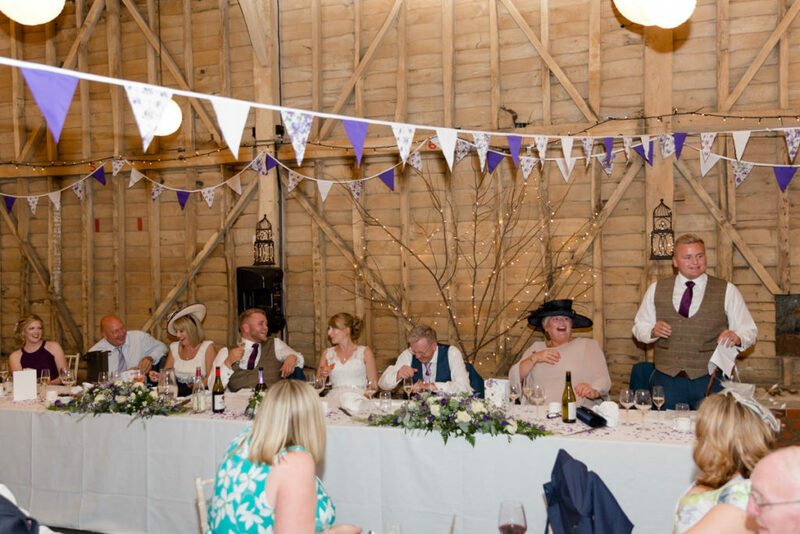 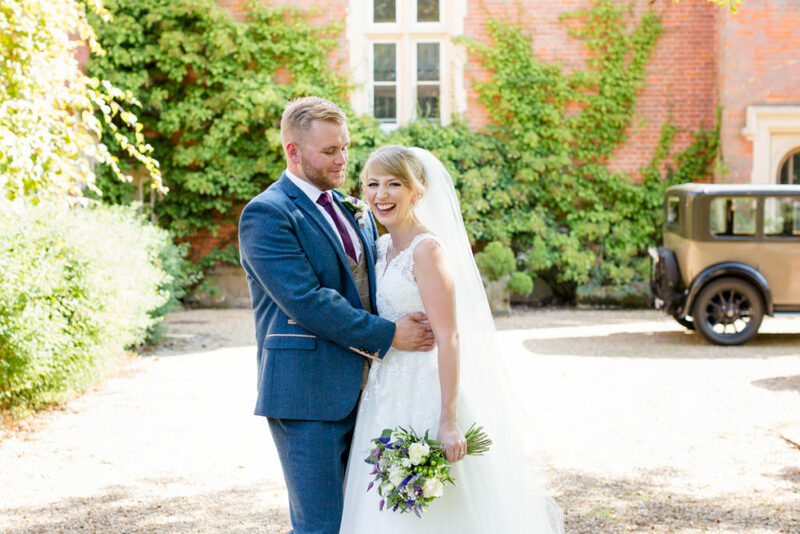 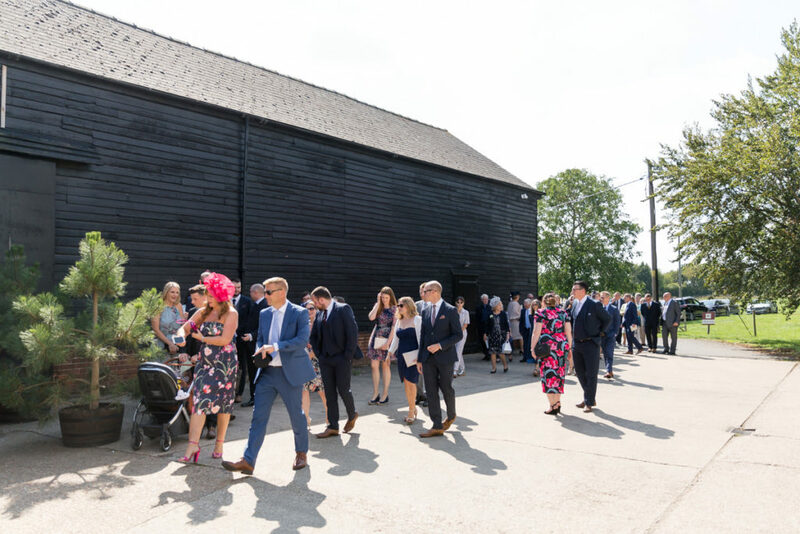 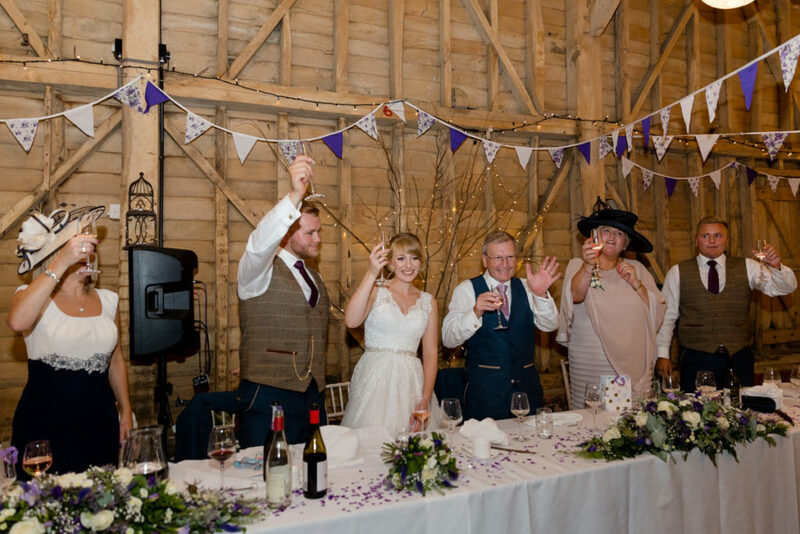 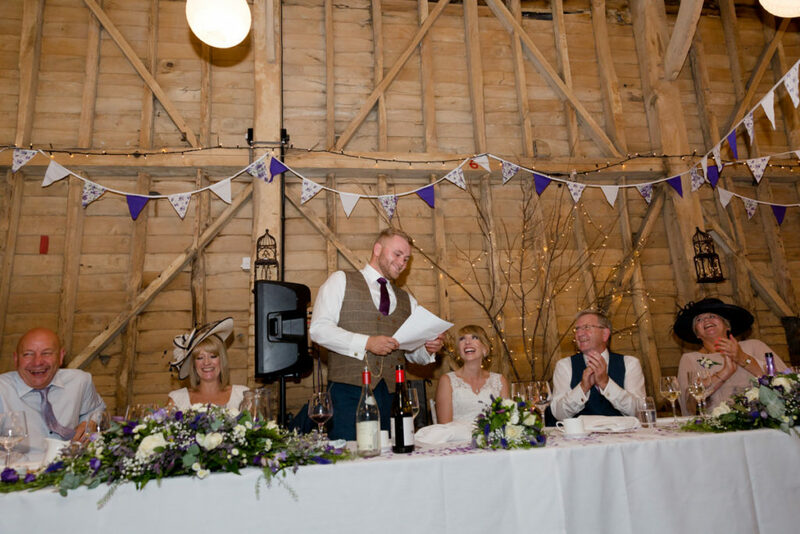 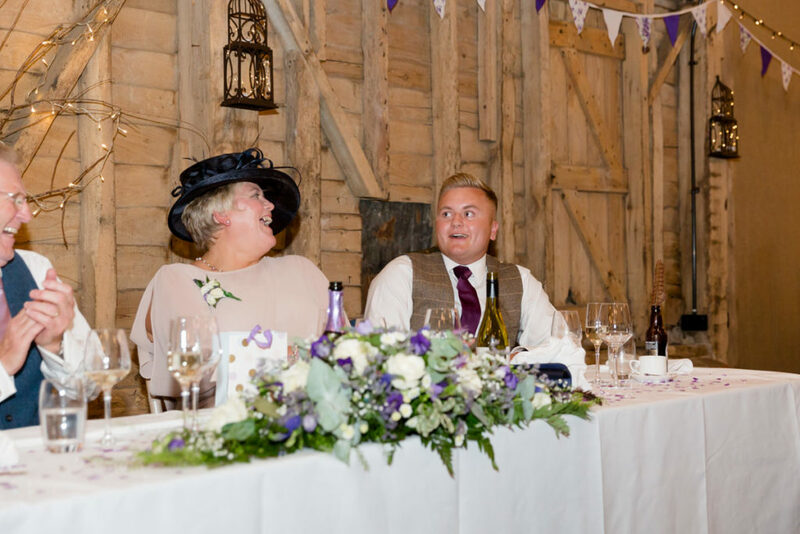 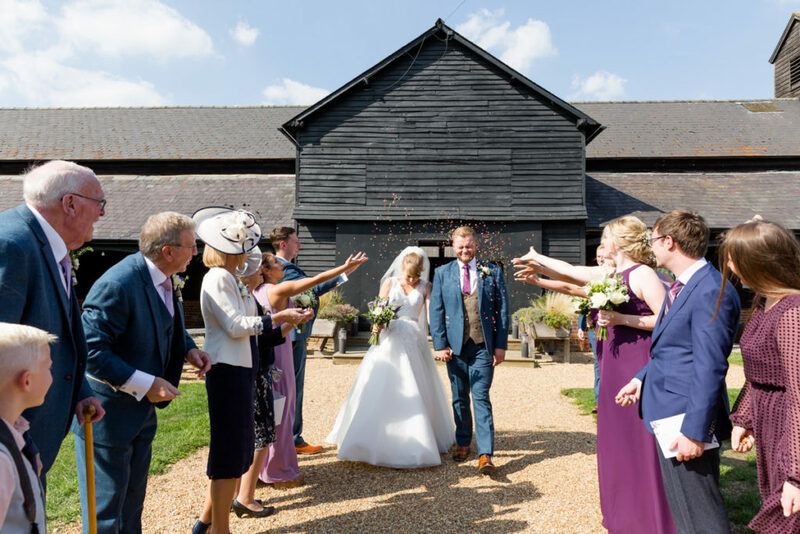 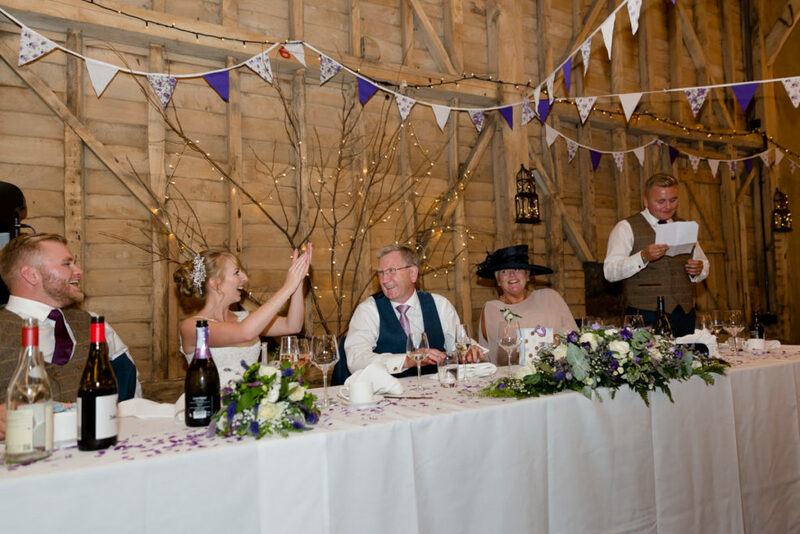 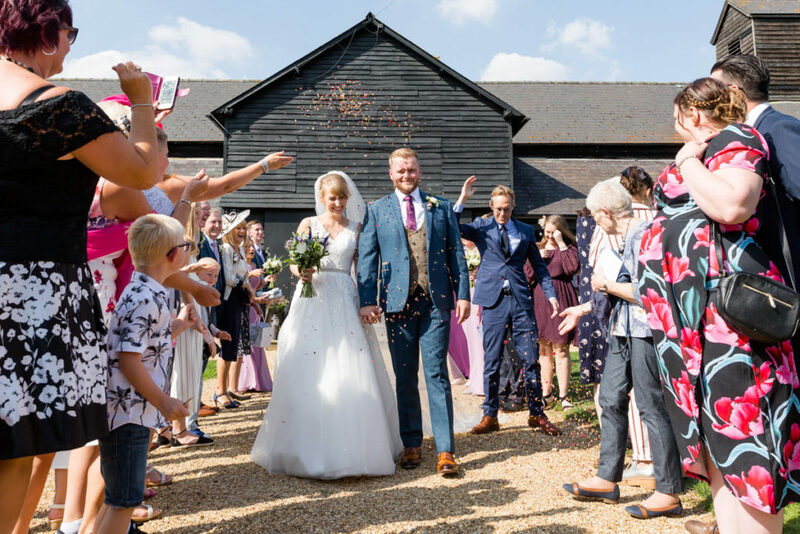 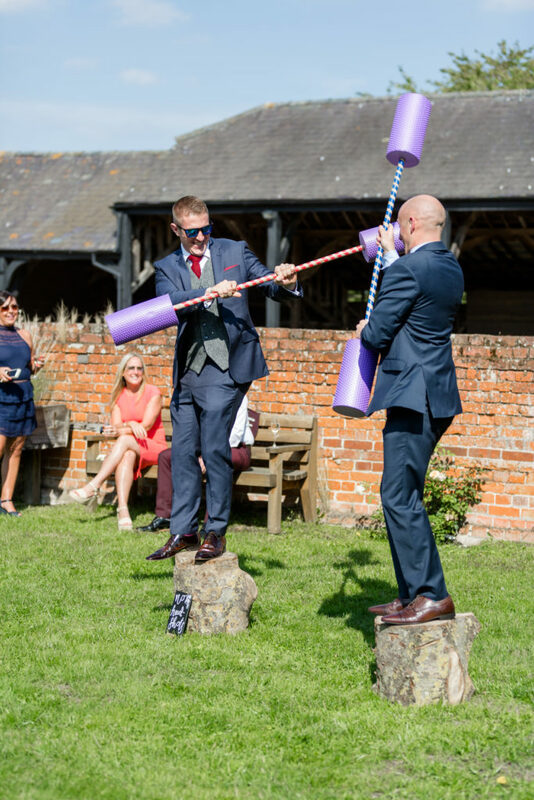 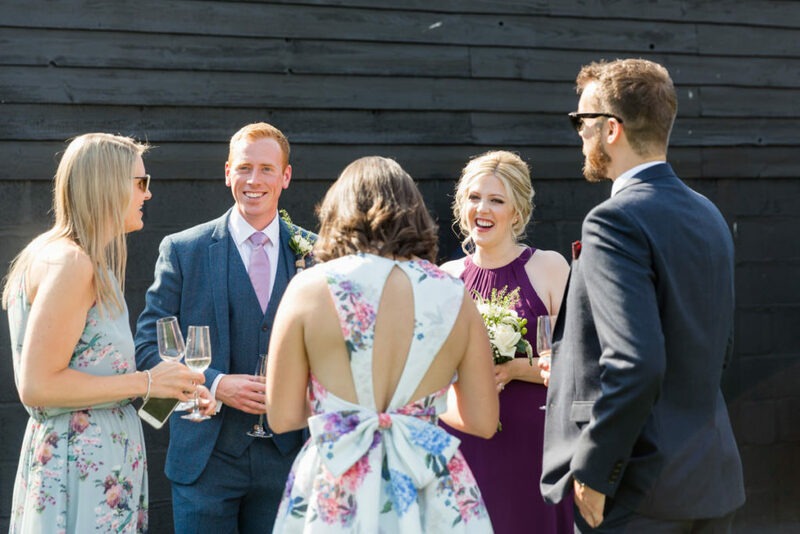 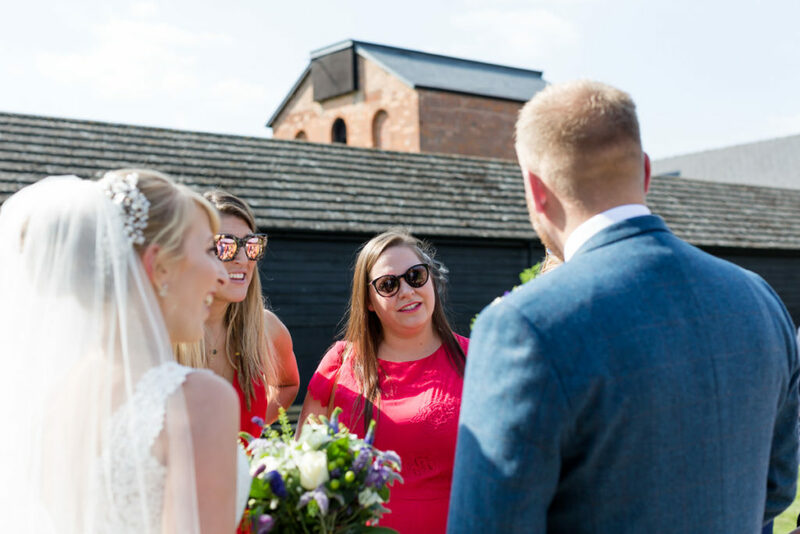 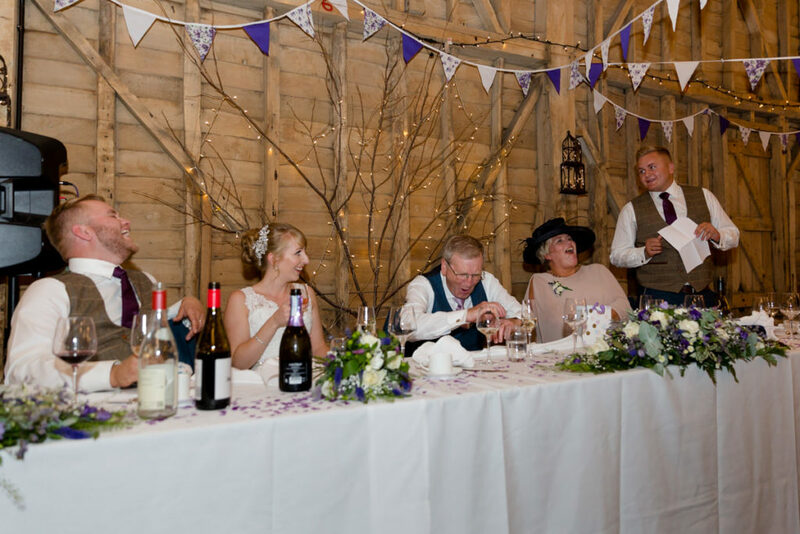 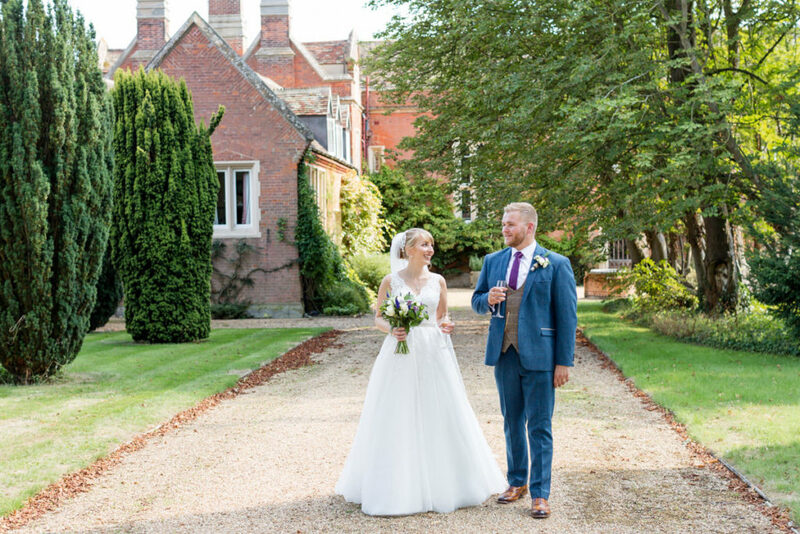 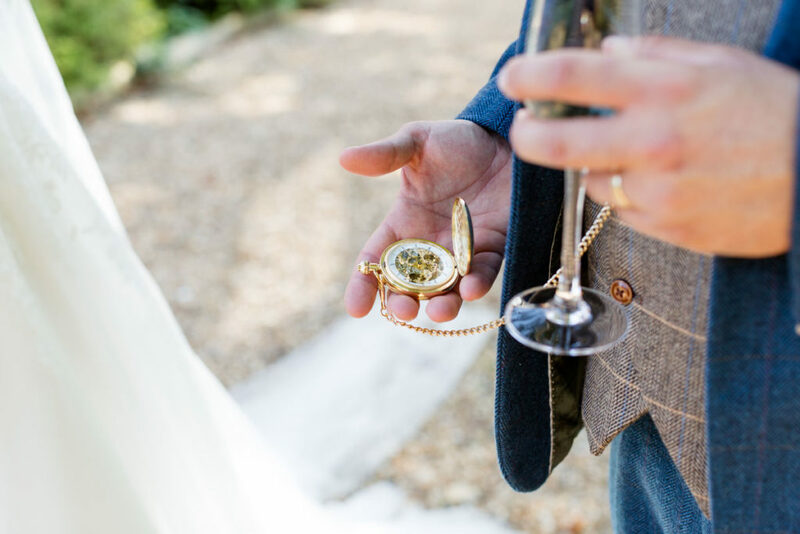 Confetti in gorgeous sunshine, couple portraits and group shots plus garden games followed ahead of epic speeches and the wedding breakfast. 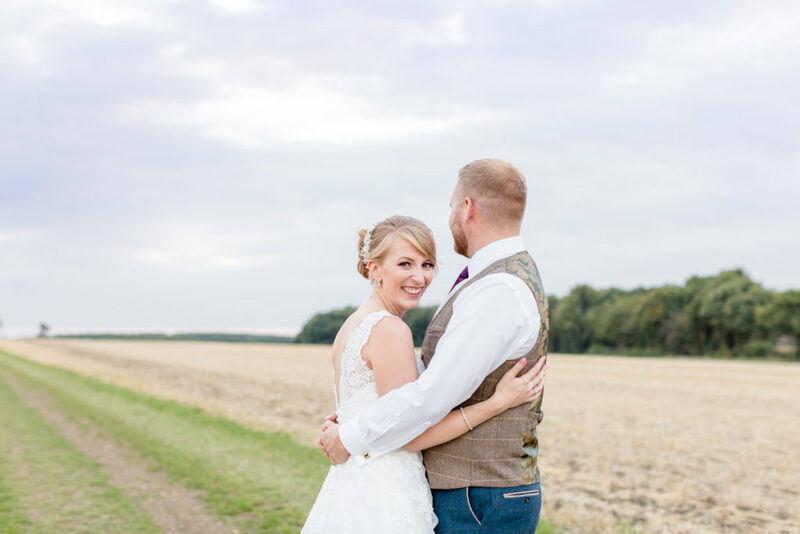 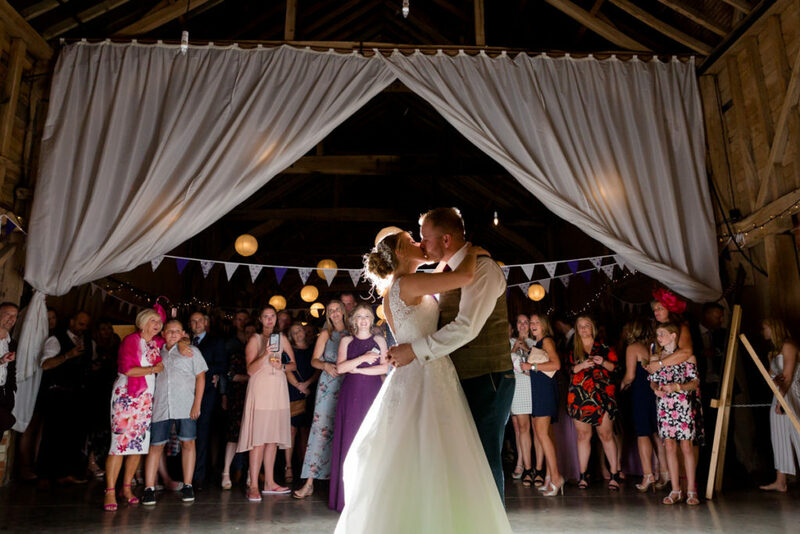 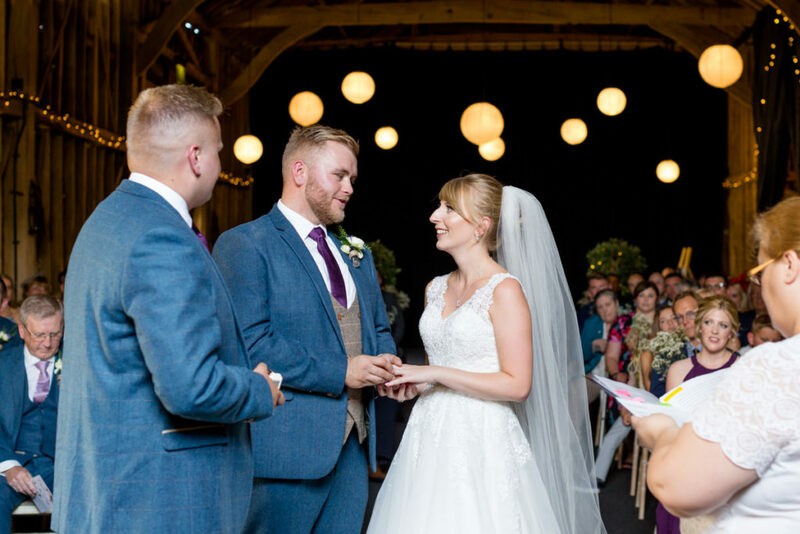 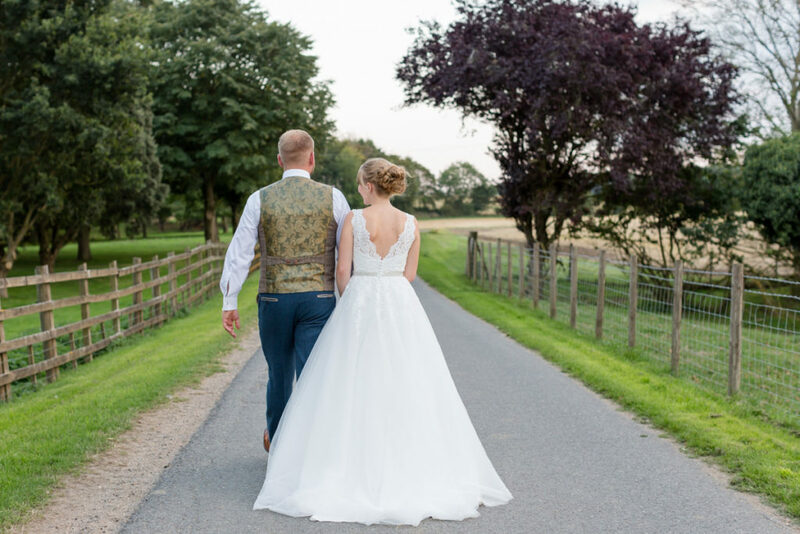 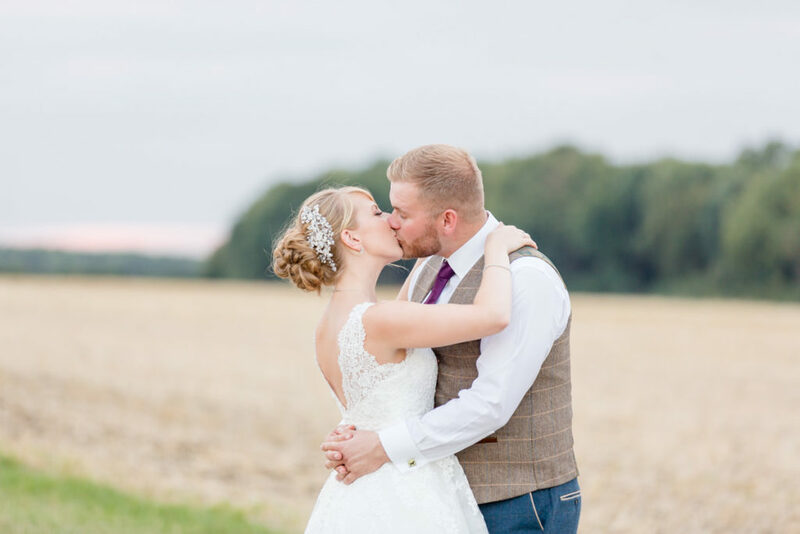 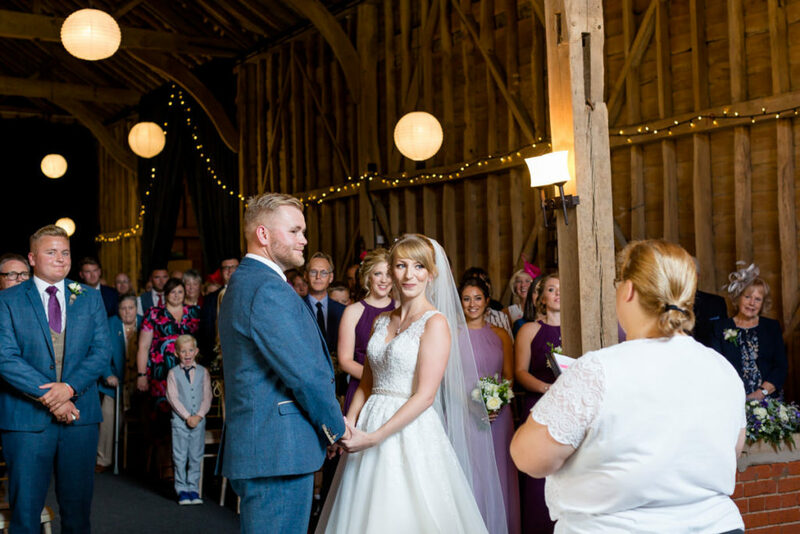 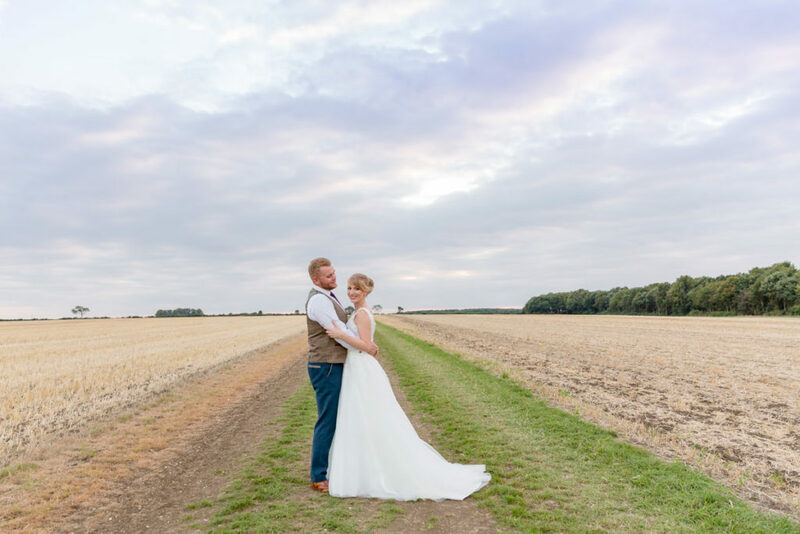 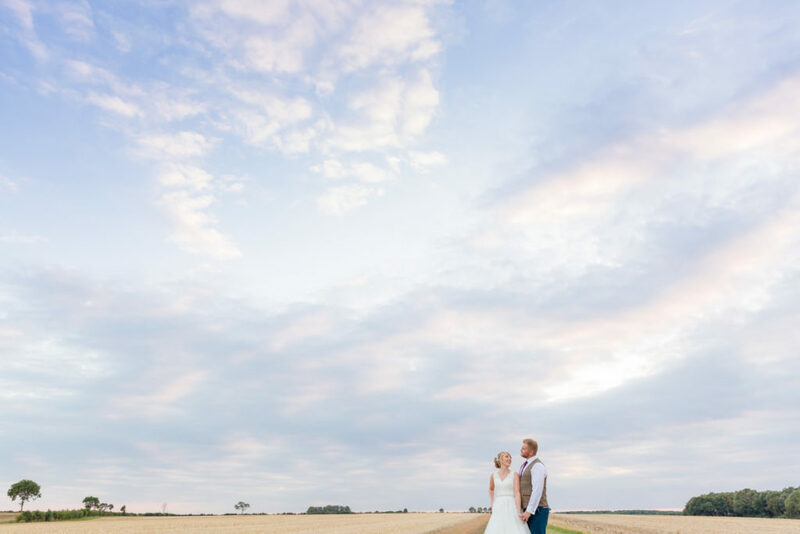 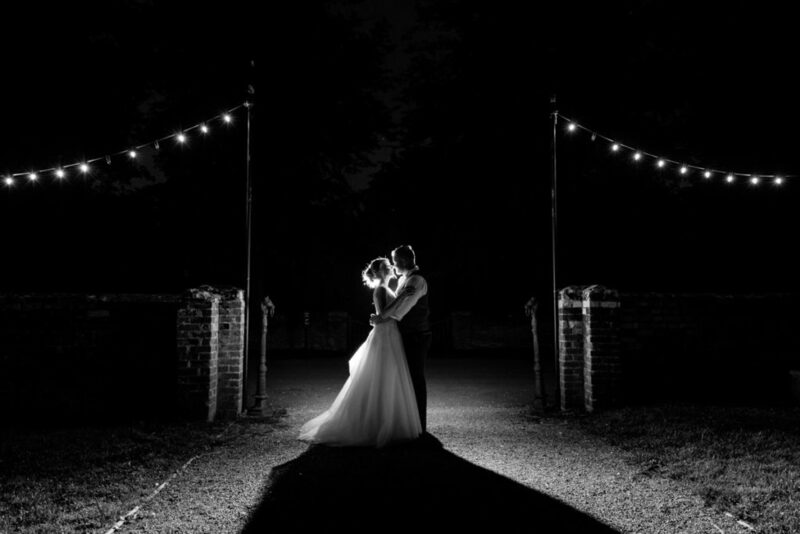 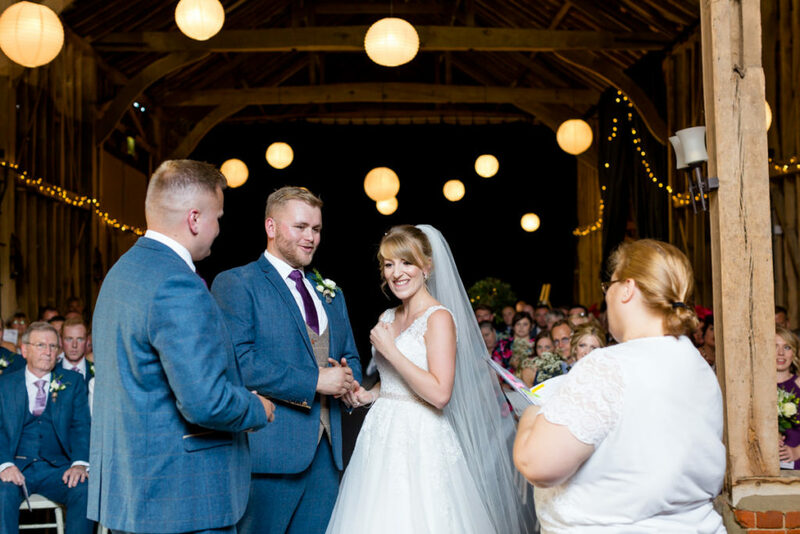 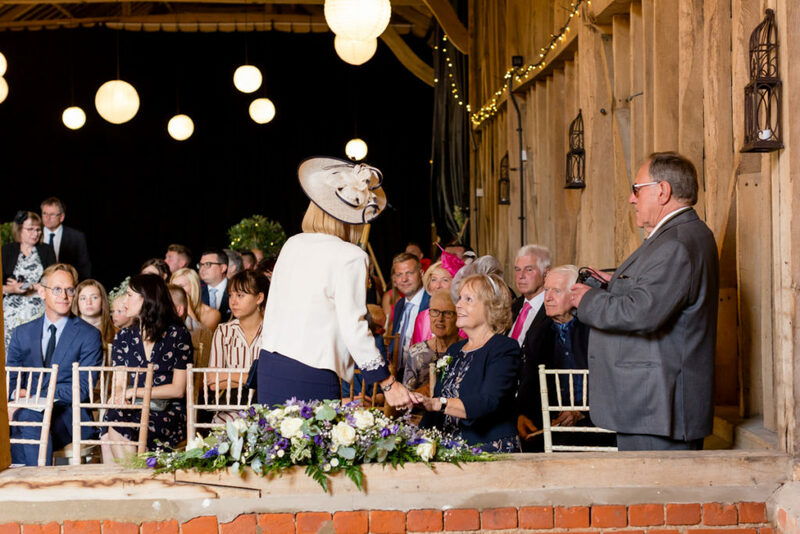 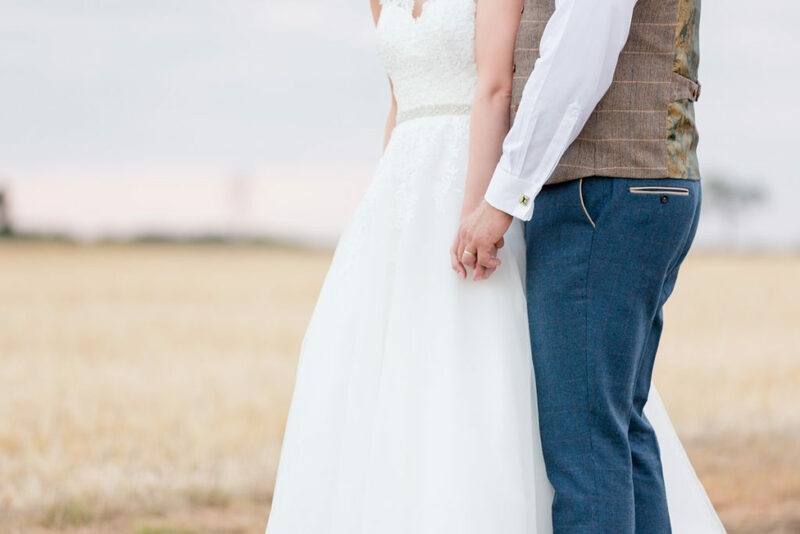 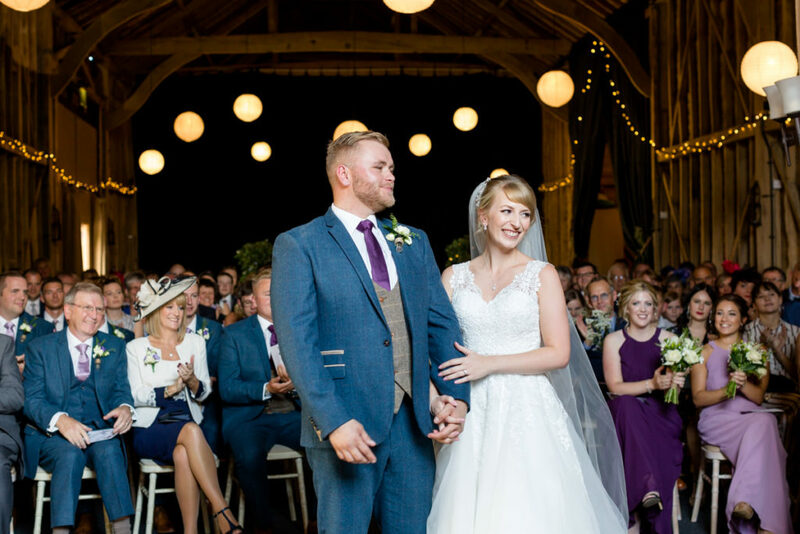 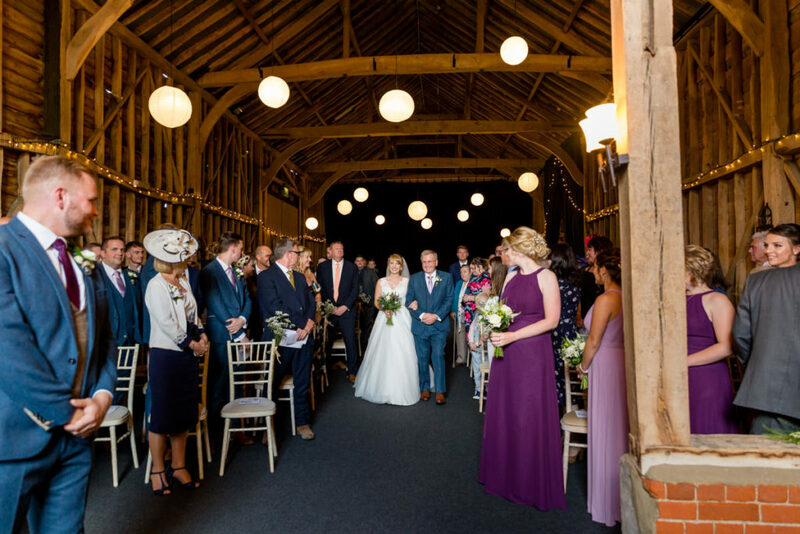 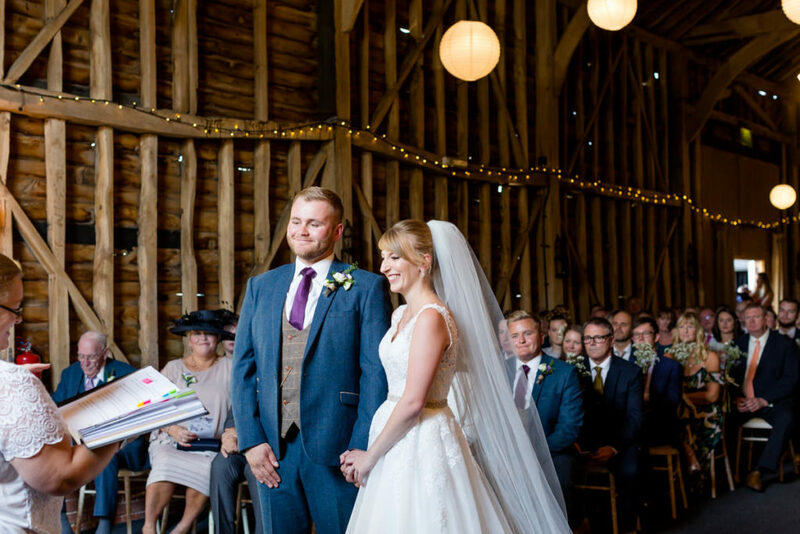 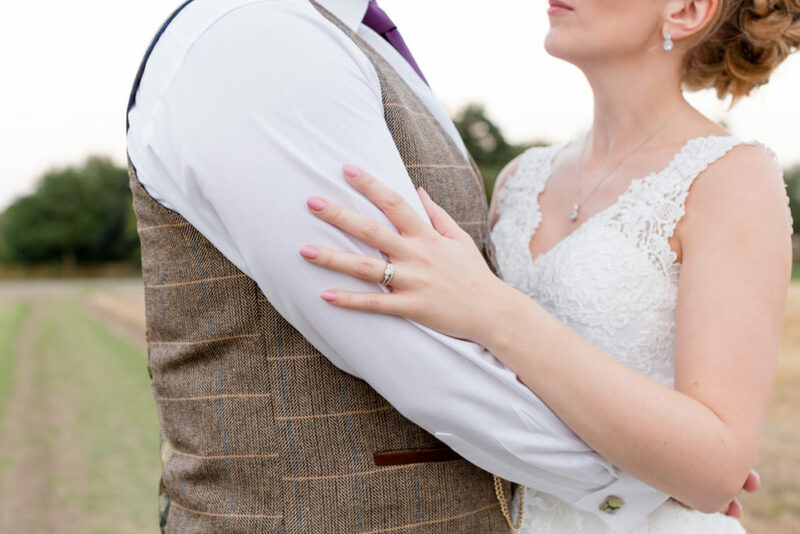 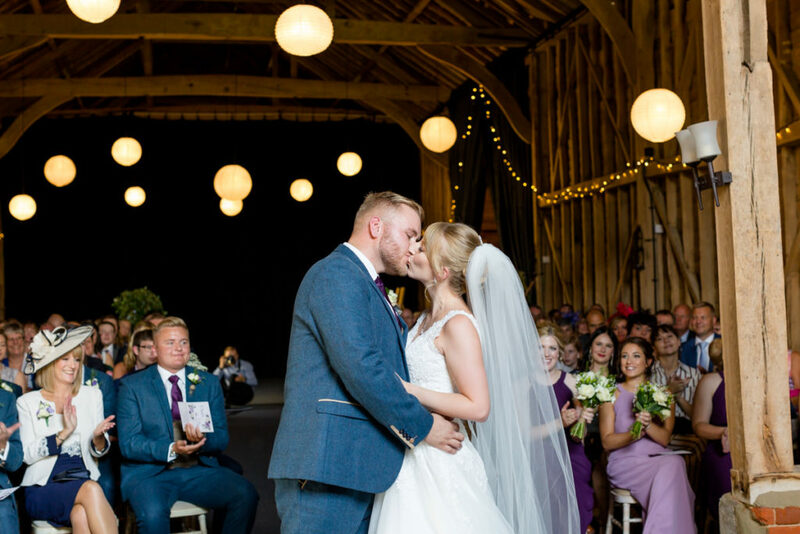 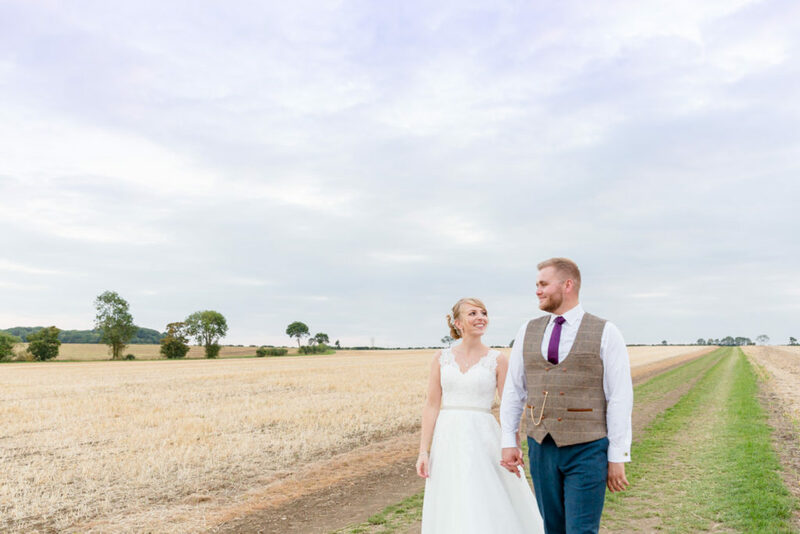 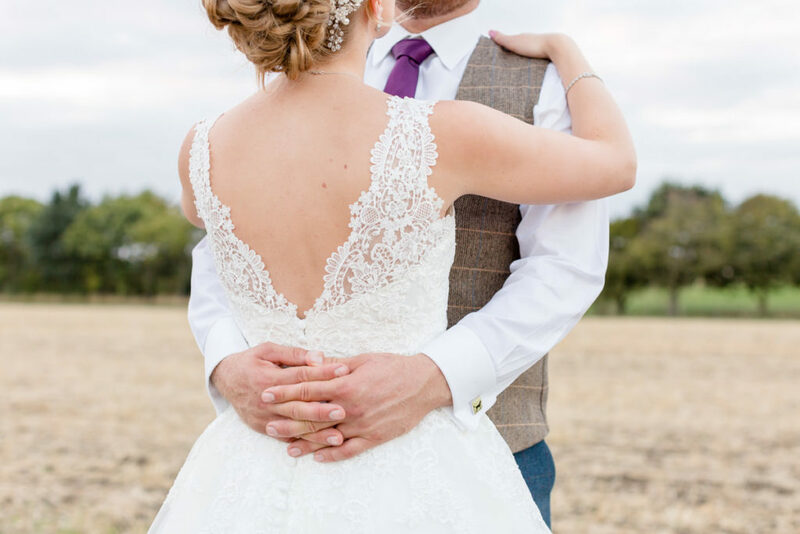 With big skies and fields right there we couldn’t not head out to catch the last of the light before cutting the cake, first dance plus a sneaky shot with the festoon lights before I headed off! 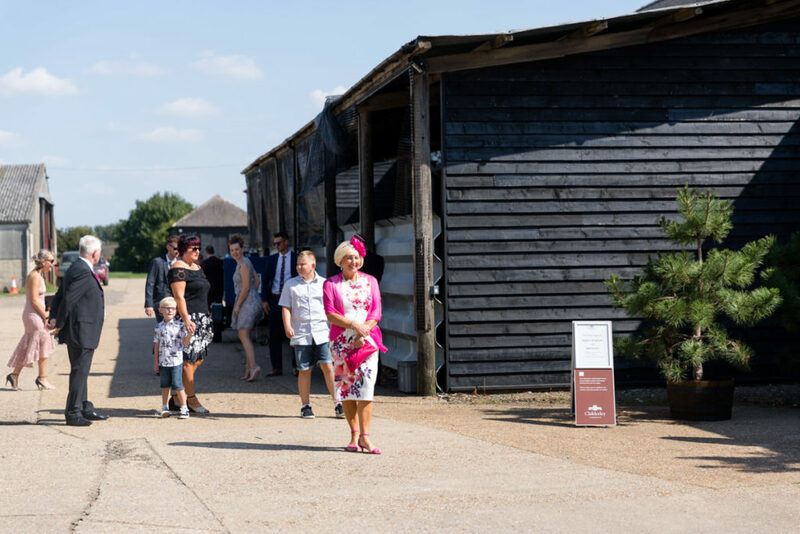 Here’s a selection of images from this wonderful day for you to enjoy.